How mobile apps increase sales and other M-commerce benefits? Mobile application development has changed the way people shop these days. It has become a trending platform. Today a large number of e-commerce revenue comes from the m-commerce. Mobile phones are grabbing the largest market share i.e $122 billion in 2015 to nearly $319 billion by 2020 as per sources. M-commerce sales were expected to be 70% of the total online retail business. Mobile apps are the aid of online marketing. Only 12-15% of the audience like to shop through the web. It has become the number one channel to market the product and services. People nowadays are more liable to a mobile application that they cannot spend a minute without it. Mobile phones have become a source of entertainment and task completion tool. Today each and every shopping, gaming, financial applications are available in m-commerce store. People love to shop through their cell phones. 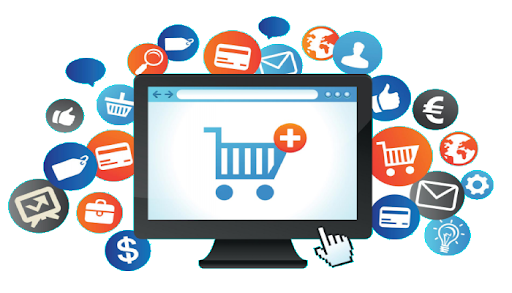 It is a goldmine opportunity for e-commerce business as m-commerce is the next generation of e-commerce business. Retailers who have customized application of their business are getting a huge m-commerce response. M-commerce also knew as mobile commerce an advancement of e-commerce that is used to sell the goods and services through a mobile application. It has a triggering effect in industrial growth. There are 3 types of m-commerce i.e mobile shopping, mobile banking, and mobile payments. Today each and every m-commerce are available in the market. Let us understand how it benefits e-commerce business? How can be a business be successful be mobile commerce app? Nowadays everyone wants to shop that is just one click away. People are bored with the lengthy process. They are used to mobile devices and know each and every features. They had made themselves comfortable with the mobile interface. It is easy for them to ask for advice from people by sharing the pictures or links through social media. Retailers are using augmented reality mobile application to complement their business. Customers like application which is simple, easy, fast, interactive, and exclusive. If your app consists of all of these your customers will be happy. Omnichannel experience is when you can sell products in both brick and mortar models through various channels. It enhances the business as the customer has the option to buy the product through any medium which will generate a sense of goodwill, flexibility, and trust. It can provide a medium of direct communication with your users. You can send the push notifications about the new arrivals, season sales or some extra benefits which you want to provide only to your loyal customers. It takes a lot of time to go to the store, choose the product and stand on a long line to pay the bill. M-commerce allows the customers to visit the store anytime, from anywhere and provide a customized shopping experience. They can buy the product through a single click with different payment options. It not only retain customers but also attract new customers through word of mouth, sharing products online etc. It provides the advantage for retailers to retarget their product through mobile ads and optimized site. Mobile searches are the most common method for the customers to find or search for the particular site when they want to purchase something. It is the edge to enhance the traditional sales as it provides customers to get detail information about the product which is not at possible in offline stores. Nowadays customers before buying the product search for the detailed description. The plus point is that the customers also have access to the discount, promotions, EMI methods and offers in a particular product. The biggest fashion e-commerce companies apps have doubled the business by providing their customers with flexible shopping access. Mobile phones are playing a role of utilitarian in a user’s life by being a default mode of handy information. As from sources, 50% of the time individuals, spend on digital media is on mobile apps. As the expansion of mobile phone, users are expected to be 600-700 million by 2020 and mobile application development for the e-commerce business will generate customers and traffic. Mobile commerce is the natural way of business in the future. Customers are more reliable towards mobile devices and want each and every application which they required available in their mobile. M-commerce has changed the way of doing business. It is best if you want your e-commerce business to get traffic and sales. The vast number of traffic is coming through mobile apps because people tend to use apps instead of websites or stores. The popularity of m-commerce can’t be ignored as there are many companies who implemented mobile application and has gain a lot of success and it has paid very well for them.